Nickel alloys are used in those critical applications that require enhanced performance in certain characteristics such as corrosion and heat resistance. They have been engineered to withstand the harshest of environments and so are most frequently ordered for those applications where failure is not an option. Aerospace is one of our core markets for nickel alloy tubes, they are being used extensively in heat exchangers, landing gear and general aircraft repair/overhaul. We predominantly supply nickel alloy tubes as a welded and redrawn product, which ensures we can control surface finish through using the highest quality strip available. Le Guellec are our partners based in the North West of France and are one of the premier producers of nickel alloy tubes in Europe. 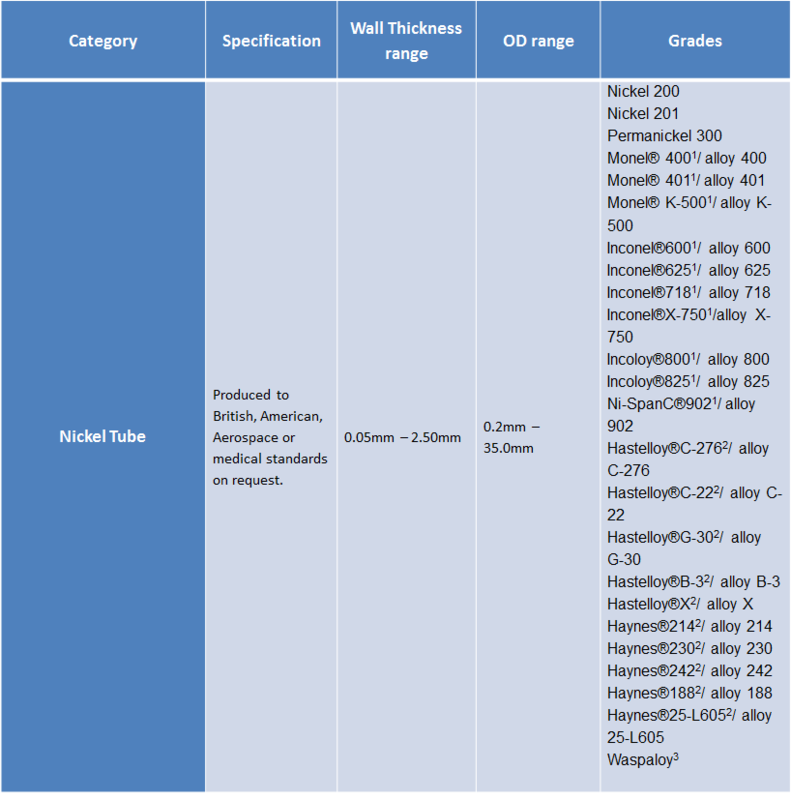 Specialising in thin walls and small diameters, as well as small quantities for research and development, we are able to be a flexible and innovative supplier of nickel alloy tubes. For research and development we offer a service where we are able to supply a minimum of 10 meters on lead times of just a few weeks. All our tube products are produced to customers’ specification; we are able to customise all characteristics from physical dimensions to surface finish, as well as being able to offer subcontract secondary processing to supply our customers with a semi- finished product. We can accommodate large quantities from thousands of metres down to an MOQ of ten meters produced to customer specification.